Cloud has moved beyond the buzzword today. With its significant momentum, it is addressing cloud readiness and workload feasibility in public and hybrid cloud environments. With nearly every application being accessed via mobile devices today, networks play a vital role in determining how well an organization can adopt a cloud-first strategy. Alongside a robust cloud strategy, network security, identity management, and security policies cannot be sidelined as they are pillars of the entire network. This requires networks to run with minimum latency, which at times can be challenging. This is where eCloud Managed Solutions steps in with its gamut of solutions. “eCloud acts as a trusted advisor and helps customers optimize their cloud expenses,” states Aimee Sanders, CEO, eCloud. The firm takes an application-centric approach with a keen eye on security to help customers navigate through the changes disrupting the telecom industry. eCloud offers a vendor-agnostic approach toward assisting customers to handle the complexity of the telecom sector. The firm helps its customers select the best telecom solutions provider while thinking through the risks, compliance, security, business continuity, and legal aspect of a deal. This significantly reduces the risk involved in migrating to a new provider. Besides, eCloud runs its proprietary diagnostic tools to baseline network traffic, determine network health, and size the bandwidth needs. Most firms that are trying to address hybrid WAN strategy tend to struggle with network latency issues. To this end, eCloud offers solutions that help organizations determine which protocol and provider would be best-suited for their business needs and also assists in seamless cloud migration without a spike in network latency. 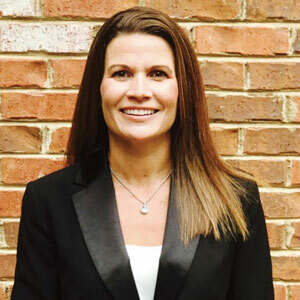 “By empowering CIOs with tools that aids organizations in making informed decisions about cloud implementation, eCloud has found a niche that appears underserved,” she adds. This is coupled with an application- and business-centric approach of solving critical business issues without compromising security and end user satisfaction. In a recent implementation of its cloud solutions, eCloud assisted a U.S.-based software company with a cloud strategy. Network security and latency, which were the major concerns for the company, were top priorities and eCloud leveraged its expertise to implement a hybrid WAN strategy that included fiber at the data center, MPLS at its larger locations, and SD WAN at smaller satellite offices. eCloud provided network health assessment, traced packets, and measured network latency in conjunction with acting as a single point of contact between multiple SD WAN providers and the client. This ensured that the client’s application and end user needs are met with a fully managed and cost-effective solution. The hybrid cloud computing market is expected to grow to nearly $390 billion by 2020, paving way for many other players in the landscape. eCloud is determined to navigate the cloud landscape by analyzing its in-house cloud strategy and ensuring that they are in sync with the big 3 (AWS, Azure, Google), which will keep them ahead in the cut-throat competition. eCloud acknowledges the benefits of the cloud and relays the same information to its customers. The principle is to help them operate efficiently and optimize the investment that an organization spends toward the cloud strategy. In addition, eCloud utilizes its expertise in the cloud realm to analyze the disruptive trends and consume next-gen innovations. The firm is knee deep in bringing such innovations to the market and taking cloud computing to next level.